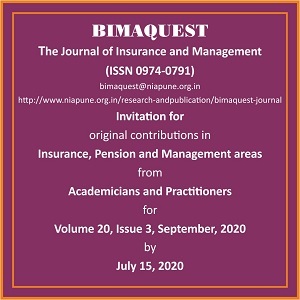 BimaQuest is a RNI registered publication of National Insurance Academy, Pune since 2001. It is published in the months of January, May and September every year. It is indexed in EBSCO database and Google Scholar. 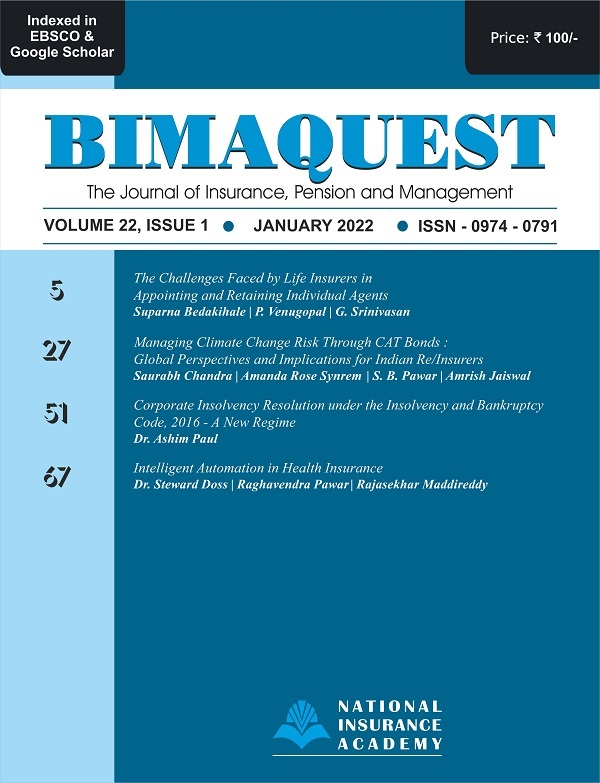 BimaQuest invites original contributions from academicians and practitioners. In the form of Articles, Research Papers, Case Studies and Essays. We also invite Reviews of books that are yet to be published or published during last one year of BimaQuest publication in the above areas. BimaQuest follows double blind review for shortlisting articles for publication. Authors whose contributions published are given two printed copies, soft copy and honorarium.